The CD player that the car came with hasn’t worked for at least 2 years and then the radio crapped out so I drove to and from work every morning in silence. And while I actually enjoyed it, I also enjoy having the freedom to listen to CDs again. 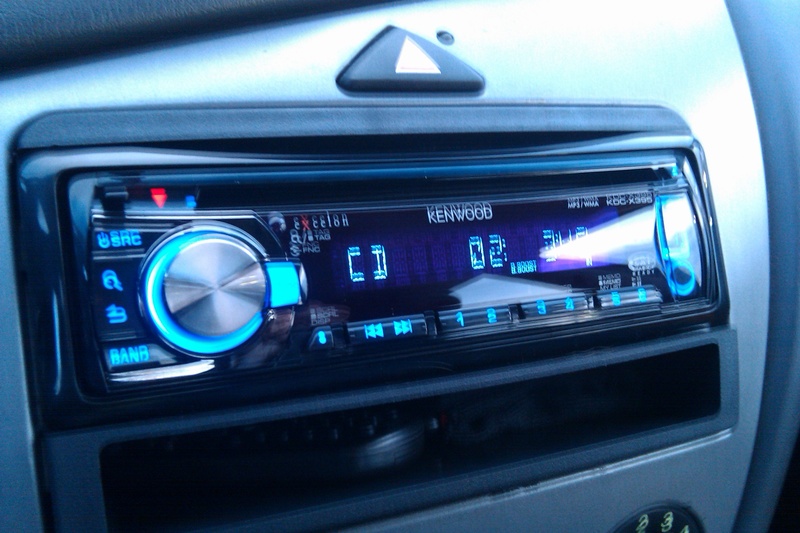 AND this stereo has an iPod jack so I can listen to my audio books and downloaded music too. I’m going to drive around all night just to listen to music. Now I can see my schizophrenic pace! 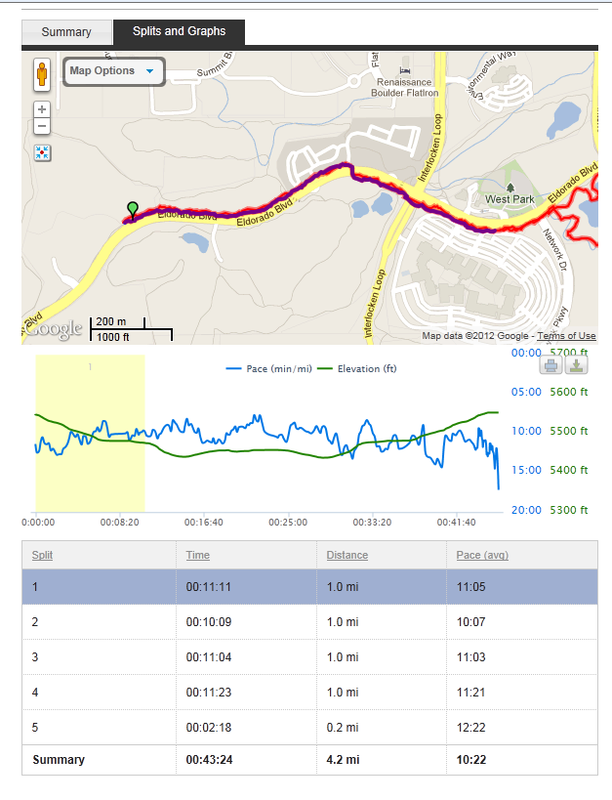 If I had known that using the iMapMyRun app on my phone did this, I would’ve been using it for every.single.run. 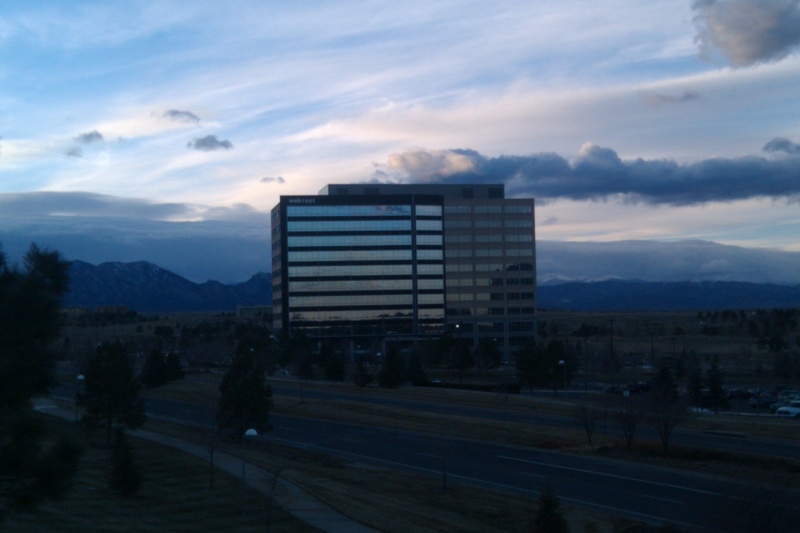 Another benefit of bringing my phone on runs (besides safety, which I need to get better about) is taking pictures of the amazing Colorado sunsets. Well, today’s 10-miler is done and now we’re off to Denny’s for some pancakes or french toast.